If you’re looking for a fresh, new way to reach new customers and get a never-ending supply of Warmed Up Interested Prospects for your business, you should invest in our Leads System. For the last ten years, we have specialized in generating high-quality enrollment prospects for not-for-profit universities and colleges. Now, we want to help small business owners and entrepreneurs achieve their goals. We are a Leads Calling Service. We call hundreds of leads each week to convert them into Prospects. Let a Professional call your leads for you! We will help you build your business with fresh prospects. Most business owners understand that it’s risky to cold call leads and many times they run into issues with very angry leads. Sometimes, you get people who completely FORGET that they ever signed up online to get more information about starting a home business. We are professional telesales agents. We are trained for these types of situations. We call your leads for you and deliver Qualified Prospects to you by email in real-time at an affordable rate. Leads and calling time included. You can follow up with your Qualified Prospects by email or simply load them into your email autoresponder. 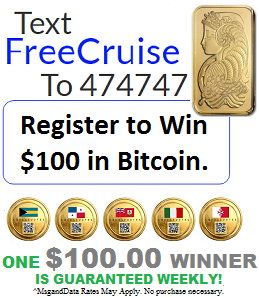 Use our “We Call The Leads” service to sell your product by giving away our Free 5 Night Vacation Packages for free to give away free samples or take a Test Drive and watch a DEMO video. 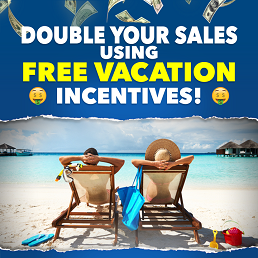 Get your leads to take your DESIRED Call-to-Action with an immediate sense of urgency to claim their Free Vacation valued at over $1,500. They will join over 30,000 travelers who have already enjoyed this spectacular offer while learning about your product or service with our “We Call The Leads” Service. The goal of our leads calling service is to generate Real Time, Phone Interviewed Prospects for you. It’s like having a professional Telesales Agent calling leads around the clock 24/7 and sending you only the prospects that say “YES” to getting more information about your product or service. Many small business owners simply don’t have the time to cold-call their leads. They don’t have the staff and they can’t afford to hire a separate department of telemarketers and pay them $18/hour to get decent results. We take away any frustration and anxiety of cold calling and deliver results. We remove the fear and frustration of dealing with these people. You only receive Real Time Warmed Up Interested Prospects. It’s a sure-fire way to grow your business fast with fresh, new Prospects who are ready to take action. Every Monday morning, we receive about 2,000 – 3,000 leads from various promotions online. We contact your leads for you and generate Real Time Warmed Up Interested Prospects for you; we call your leads and once they say “YES” to getting information about your product or service, we email your Prospect to you in real-time. Our service is not designed to guarantee sales for your product or service because we simply don’t know enough about your business. Remember, nothing beats following up with a Warmed Prospect who is interested in getting more information about your product or service as if they saw an 30-second commercial on TV. Our service gives you time to focus on what you do best: working with your Sales Team to get information out to your Warmed-Up Prospects. You receive your Prospects in real time so you can follow up same day to get them to your website and generate sales. As the cost of CPC (Cost-Per-Click) advertising continues to rise, small business owners are finding it harder and harder to compete with the Fortune 500 companies. Clients are looking for a practical alternative to paying an average of $3.35 per a click with Google Adwords. The competition for those coveted First Page PPC top spots has escalated. Some Fortune 500 companies in finance, insurance and education are paying $50 or more per a click. They can afford to pay high PPC costs because the average lifetime value of a single customer to their business is very high. Most marketers know that Google manipulates the bidding with their Quality Score System and increases the cost per a click rate every year thereby making the competition for First Page spots very intense which explains their monumental earnings in 2015: $37.5 Billion revenue with 96% of their revenue coming from advertising. Google is expected to see their CPC rates rise by as much as 15% – 20% in 2018 and their revenue is projected to reach $45.6 Billion plus have 80% market share of the search advertising market by the end of 2019. While CPC costs continue to rise, many marketers are wondering just how long can they maintain their business spending $125 or more per a prospect with for a 2.5% CVR. Your Prospects will NEVER be resold. We guarantee 100% Exclusivity. We start with an opt-in list of 500 Home Business Opportunity Seekers with valid IP addresses and Time Stamps (see chart below) for full FTC compliance and contact each lead for you for only $1.14 each. You will receive a Complete Report of our Outbound Calling Activity on each lead at the end of your eTraffic Leads Campaign. Our team takes 100% of the risk with your campaign! All of the leads we call are 100% FTC Compliant with their IP Address and Time Stamp of when they requested information online. You can provide your own script or we can use the SAMPLE SCRIPT listed below to get leads for your business. We guarantee 100% Exclusivity for each Prospect we generate for your business. Each lead on the list will never be assigned to another client, ever! Each set of 500 leads will be BLOCKED off just for your eTraffic Leads campaign and it will NEVER be used again in our Master Database. We can’t guarantee sales and we don’t resell the leads. We simply guarantee that you will receive the Qualified Prospects that agree over the phone to receive more information about your product or service. We start with a fresh list of Home Business Leads and generate Real Time Warmed Up Interested Prospects who say “YES” to receiving information about a business opportunity. You get the contact information of Qualified Prospects in real time who are open to getting more information about your product or service. Once you approve the Script, we go to work! Let a Professional Call Your Leads for You. You will be able to instantly take advantage of our many years of experience in the “trenches” at large call centers pitching products such as high-speed Cox Internet Service in Orange County, California to online education courses to prospective students. With your payment for only $570, we will start preparing your set of 500 opt-in leads to generate Warmed Up Phone Interviewed Prospects for your business. No monthly recurring charges or long-term contracts with ridiculous setup fees…just Warmed Up Phone Interviewed Prospects. Most campaigns start in about 3 – 5 days once the script gets approved. Clients can provide their own leads of current customers or their own prospect list acquired by marketing online and we will professionally contact them for you. With each list, we reach out a minimum of 7 times per a week until the lead is expired after 7 days. As you can see below, the conversion ratio for a typical call center is about 1:10, which is a ball park average with most call centers across the United States. We accelerate the conversion ratio of lead to high-quality Interviewed Prospect with real time forwarding of your Prospect Data by email. Follow up will be the key to your success in the next 7 days. When it comes to doing business on the Internet, the answer is simple — promote, promote, promote. You need to keep the flow of leads flowing in the pipeline so that you have Qualified Prospects each week who are ready to do business with you. Please review our “Winning” Cold-Calling [ SCRIPT ] for Lead Generation. OK – if you are ready to take action now with our “We Call Your Leads Service”, simply place your order for only $570. We will start working with you on your APPROVED script for your permission-based outbound lead calling campaign. Most campaigns start in about 3 – 5 days once the script gets approved. We will assign 500 leads that we receive from SEO, PPC and high traffic websites to you and start preparing your campaign. We will work exclusively for you on this set of 500 leads and rush to you each Qualified Prospect who is eager to learn about your product or service in real-time so that you can follow up with them by email or load them into your autoresponder to get your Paid Enrollment.